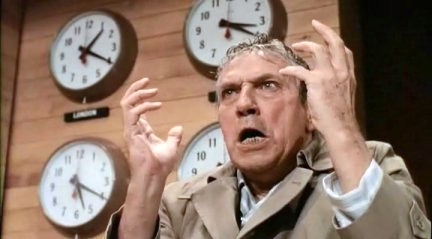 Things are crazy in this world, as Howard Beale told us as he urged us to our windowsills over 30 years ago. Crazy and getting crazier. 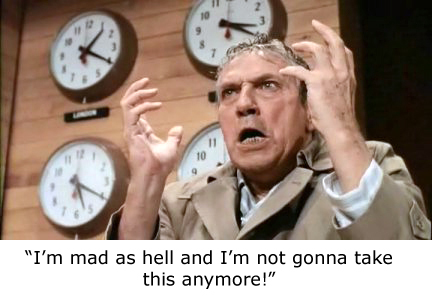 And the craziness makes us angry, or should make us angry. Really angry. Let me tell you a story. This past weekend we were back in a favorite neighborhood here in our city. 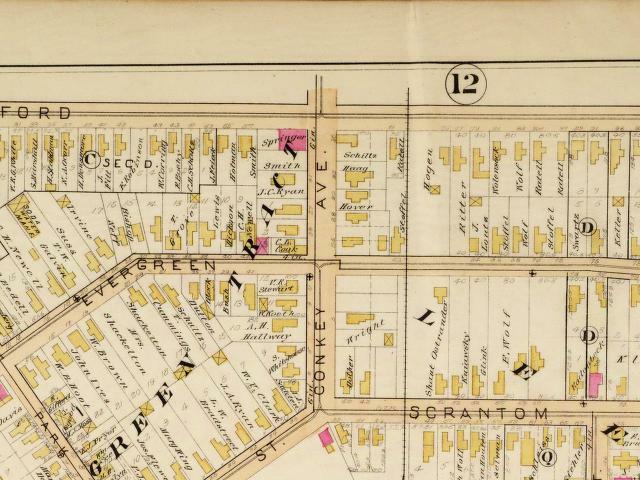 We were in the northeast section of the city, in what I have taken to calling the Evergreen Tract, because that’s what the old city plats tell me it was once called. Conkey and Clifford to be exact, where a large contingent of volunteers is building a new playground, thanks to the Genesee Land Trust (GLT), helped by the City of Rochester (this will become a telling fact as our story unfolds). We have written at length about this neighborhood previously. It’s a tough place – crime, violence, drugs and all the usual urban ills. 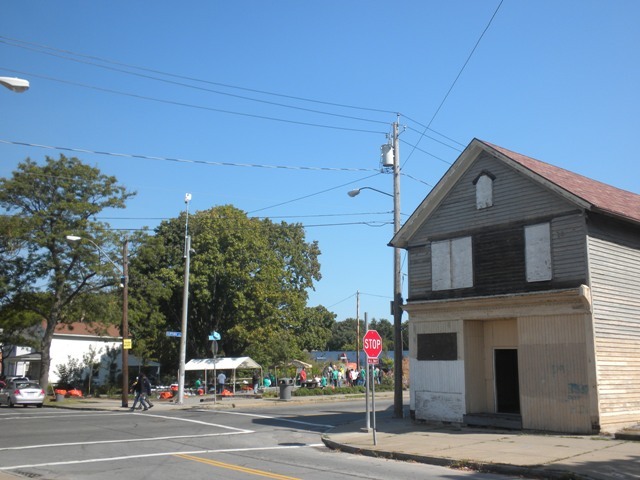 But it is also a place of hope, committed neighbors, positive changes, lots of sweat to rehab and restore the existing building stock, and even create new assets. It is a place that has many historic structures – in plenty of cities it would probably become a revered historic district. And it has new, and substantial, reinvestment. New rental homes, in a development called El Camino, undertaken by the Ibero-America Development Corporation (IADC), sit on what were vacant lots – tear downs. Jo and Jim, our favorite locals, toil away here, even in spite of Jim’s recent fall from a ladder, breaking his wrist. They weren’t in evidence this weekend, though we did chat with another local favorite, Miguel Melendez, who works with the IADC in the neighborhood. But my story awaits. We visited with our GLT friends, and watched as the volunteers worked to scratch a playground for neighborhood kids from what was once a parking lot, and before that a row of terrific – now long gone – buildings. 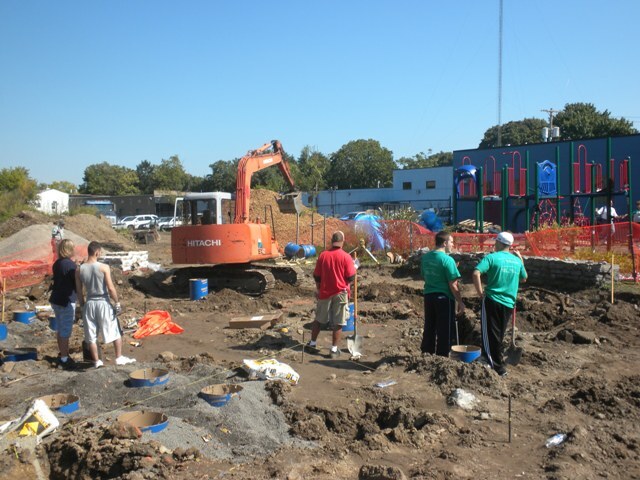 The old foundations were giving them fits, but our GLT friends reported later that at last the playground equipment was going in and the place was taking on a new life. Take a look. This is a neighborhood trying hard to escape its almost certain fate. Abandonment has taken a heavy toll. And despite all the reinvestment, by individuals, NGOs, and corporations, the city is still intent on tearing down anything that’s old and struggling. For an endless sea of (very weedy) urban gardens. How does this work, exactly? New development, helped by city. New playground, helped by city. Sweat equity types like Jo and Jim, obstructed by city. City helps build up, while city is tearing down as fast as it can. Does any of this make any sense? No! And now the object lesson for today – the Schiltz property, opposite the new playground. Address: 72 Conkey Street. I found the building platted in 1888. Take a look. Southeast corner of Clifford and Conkey. Schiltz property. In the 1888 plat book. Two story frame building, storefront down, residence up. Once probably a grocery or some kind of retail. Great building – still in the configuration shown in the 1888 plat. Yes, next door to this building are some of the new rental residences by IADC. Here’s another look. And here’s a look at the intersection of Conkey and Clifford. In this view you can also see the empty lot and garden across the street from 72. Don’t you think we need lots more of this?? And here’s one last view, looking toward the new playground. So let’s see. On a corner where there were four buildings there are now two. And about to be only one. A building adjacent to 26 new rental homes, across the street from a new playground, intact and built in 1888 or earlier. Is there a plan in all of this? 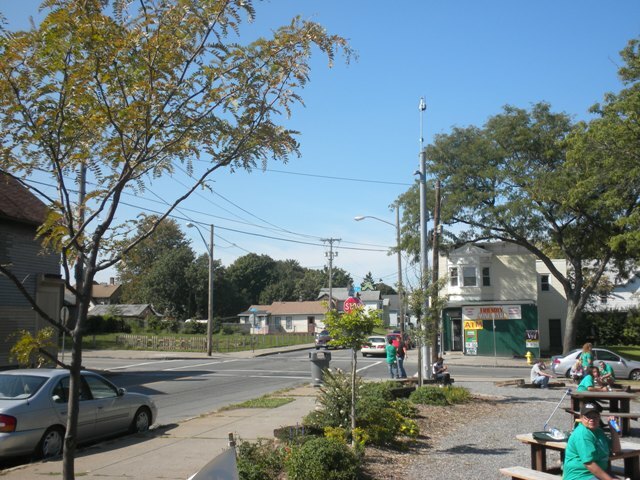 We get the GLT to build a new park at an intersection where we are tearing everything down – is this the plan? Wonder if the GLT thinks this is a good plan. And the city helps with the park at the same time that it tears down the building across the street? WHAT CAN THE CITY BE THINKING?!?!? 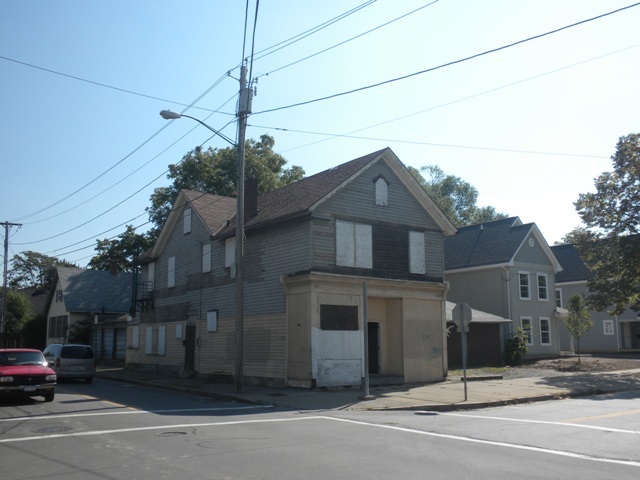 There is interest in the building – a proposal exists to restore it and create a few new residences. The city has this proposal. No dice. 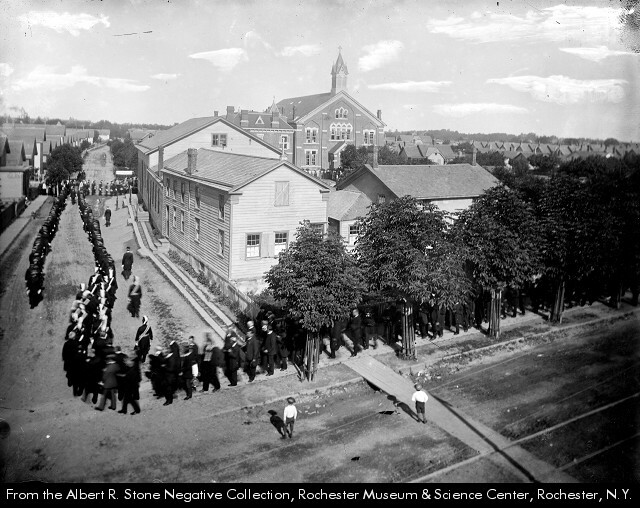 Recently, the building was attacked by the city in order to abate asbestos, prior to demolition. 72 Conkey’s days appear to be numbered. As in not many days left. So I say to you, my fellow urbanites, go to your windowsills and shout. 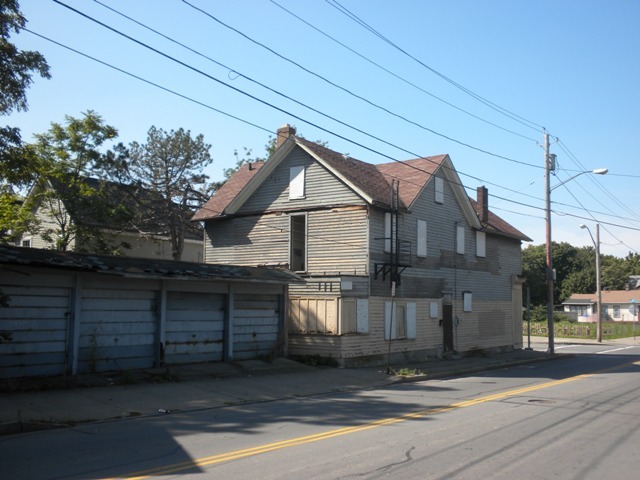 Tearing down buildings like this, wasting these kind of resources, in order to make weedy gardens next door to brand new investment in new homes and a new playground makes us mad as hell, and we’re not going to take this anymore! Call the Mayor. Call the City Council. Write an op-ed piece. Picket. Blog. Express disgust, anger, and astonishment at a level of defective thinking that is almost incalculable. This has got to stop. Now.